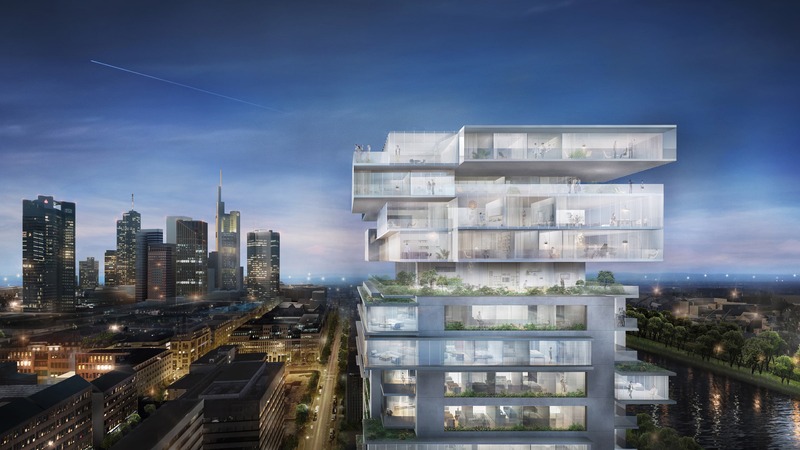 RIVERPARK Tower, a spectacular residential high-rise project in Frankfurt, marks the first project by Büro Ole Scheeren to be built in Europe. 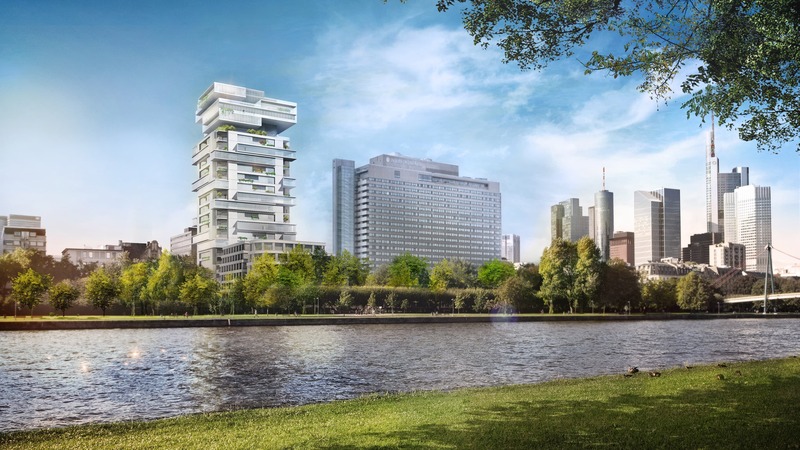 Commissioned by GEG German Estate Group AG, the project is prominently located on the banks of the river Main, and will emerge through the conversion of an existing office building. With a height of almost 100 meters, it will offer sweeping views of the city’s striking skyline and its riverbank, creating an entirely new quality of life in the heart of the city.